Note: In WordPress v5, the new Gutenberg editor changes the look and feel of the editor. You can still access the PilotPress features in a Classic Block in that editor, or choose to install the old editor (link to the old editor is on your Administration home page in your site). 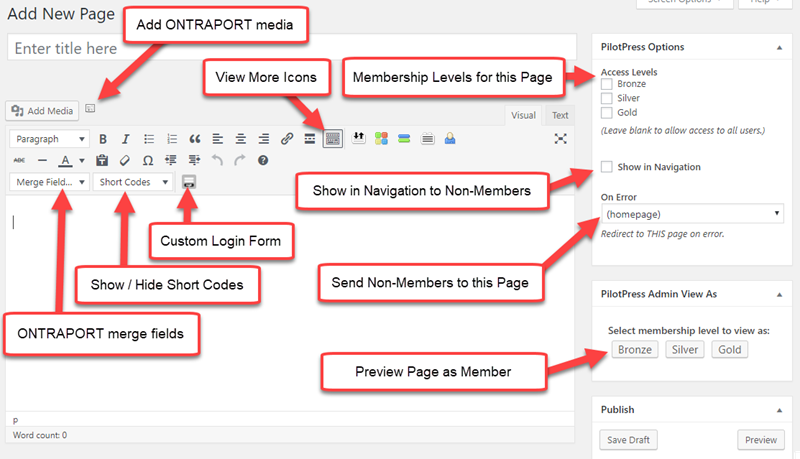 PilotPress adds several features to the WordPress editor to assist in creating membership pages. Each of these will be explained in the sections below. Forms and videos from ONTRAPORT can be selected in this menu. Selecting a form inserts the embed code into the page or post. Selecting a video allows you to select the type of player to stream the video in, either HTML5 or the free version of FlowPlayer. To avoid the FlowPlayer watermark and link to their site, we recommend the HTML5 player. Forms are listed from the ONTRAPORT Forms collection. 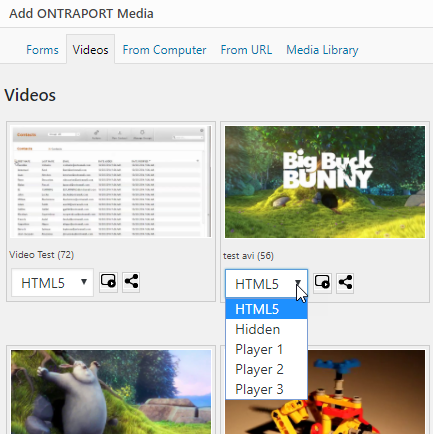 Videos are listed from the ONTRAPORT Video Manager, and are streamed from ONTRAPORT's servers to reduce bandwidth usage on your site. This is a standard WordPress editor icon. Use it to expand the rows of editor buttons if you only see one row. 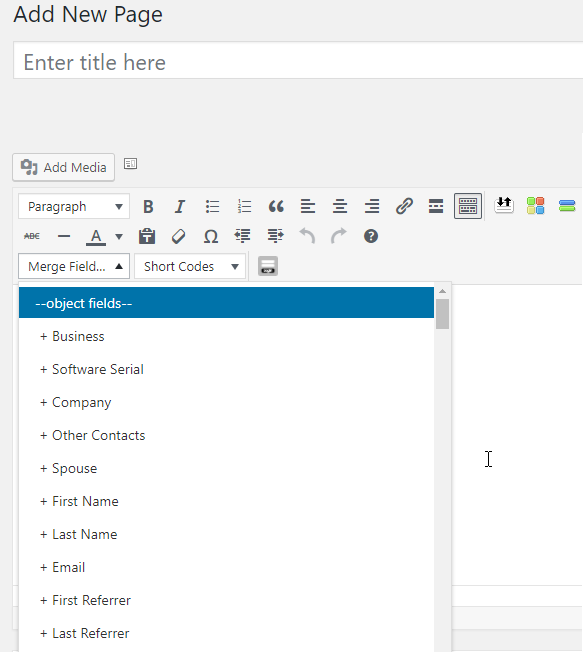 The same ONTRAPORT merge fields you use in email and on PURL landing pages for personalization are available in the WordPress editor. Most of the Contact Record fields are included. The format is slightly different to avoid conflicts with other merge fields and short codes that your WordPress theme may have. PilotPress features a number of short codes to show or hide content to logged in members based on their membership level or Tags. This drop down provides the available short codes, but they must be edited to include the access level or Tags. You can add a compatible custom log in form to any page or post. Most of the third party log in form designers use redirection, and will conflict with the access level protections of PilotPress. This wizard provides a method to quickly duplicate the default log in form style on any page or post, or create a custom designed log in form that matches your branding. It allows you to create a custom "Forgot Password?" Campaign to send the member their existing password via email or SMS. See this article for details. 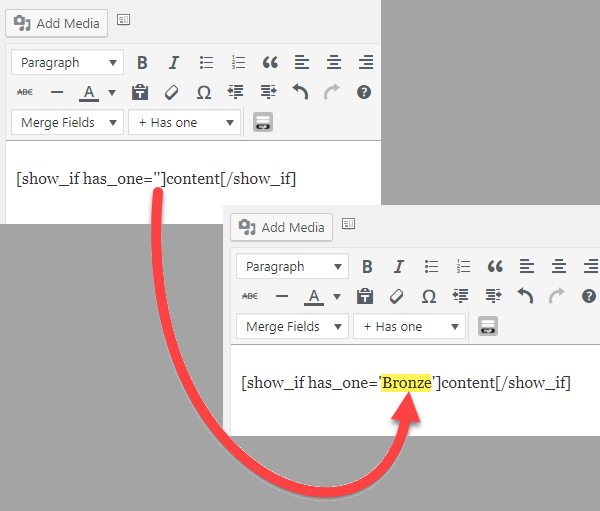 PilotPress displays the PilotPress Options box in the editor on all Posts, Pages and most Custom Post Types created by themes and other plugins. This section enables setting the membership access levels, the display of the post title in navigation menus for non-members, and where non-members are redirected to when they try to access this page. PilotPress access (or "membership") levels are discrete and do not inherit other permissions from other access levels. 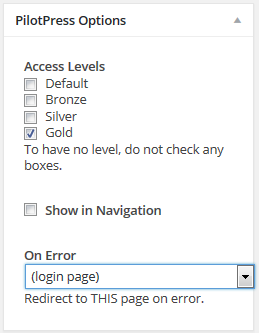 If only the Gold access level is checked as shown in our example then only Gold members will be able to see the content. This is different from membership plugins such as S2 Member or Optimize Member that use a hierarchical system where a "higher level" access automatically grants access to any lower level. 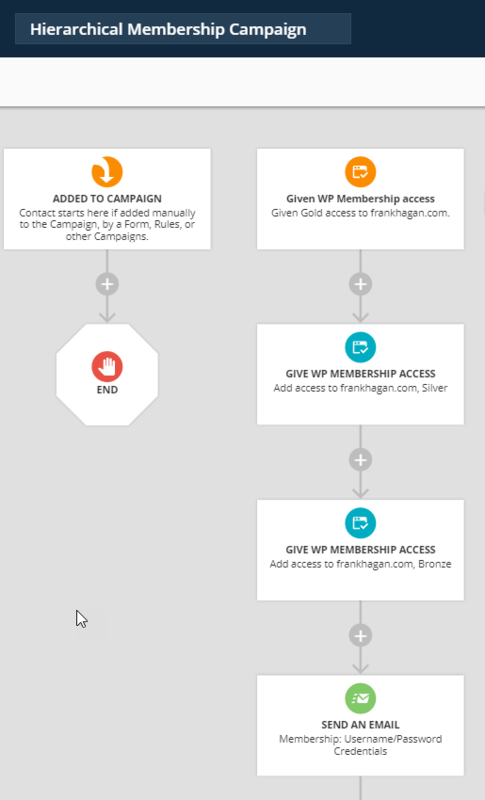 You can create a hierarchical system using ONTRAPORT's automation features by having a Campaign with a Trigger for the addition of the Gold membership level, and Campaign elements to Update Contacts to the lower levels below that as shown here. PilotPress automatically hides any posts that have an access level checked from the menuing system until that level member is logged in. This checkbox overrides that default setting to show the page in the menu. This allows you to show a member's only page such as "Free Beer!" in a navigation menu. The On Error selection explained next specifies a page to redirect the non-member to, and a good use for that feature is to have an opt in or order form for the membership level that gets "Free Beer!". Note that the WordPress navigation menu settings will still take precedence, and you may have to edit your menus to include the page in Administration > Appearance > Menus. This setting determines what happens when an access level is checked and someone without that access level tries to display the page. PilotPress will automatically redirect them to the Page selected in the drop down. Make sure the Page is one that can be accessed by anyone with no access levels checked. Choose a page that offers an opt in or order form for the content you are protecting, if applicable. This is a good way to encourage people to become members, or to encourage members to purchase another membership level. See how the page will appear to a member with the related access level by clicking the button. A preview will open in a new tab. You can view as a single access level only. The preview will not show specific Contact Record information from merge fields. For example, the text "First Name: [pilotpress_field name='First Name']" will only show up as "First Name: " in preview mode. To display the page with Contact Record information use a different browser and log into the site using a test Contact's credentials.